The Sounders are now healthy and stacked with arguably the deepest lineup they've ever put on a field. And that's made it tougher for even highly-paid veterans to see significant field time. 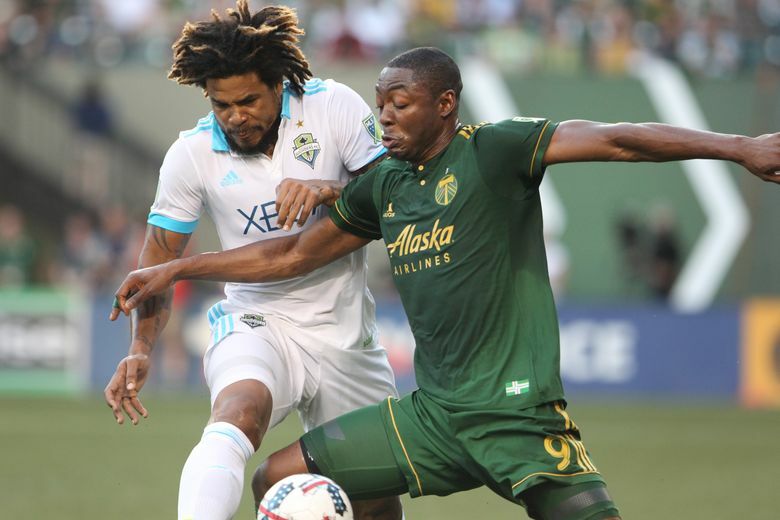 Sounders defender Roman Torres can’t get on the field. Forward Will Bruin is having trouble as well, not to mention midfielder Victor Rodriguez. Magnus Wolff Eikrem was sent packing and Clint Dempsey hasn’t played in a month or started in nearly two. This may be one of the deepest teams the Sounders have ever fielded and it’s showing up whenever starting lineups are introduced. For the first time this season, the Sounders have all the players they want and most are healthy. That makes for interesting decisions on who does and doesn’t play — including some of the team’s highest paid players — but few can argue with six consecutive wins and a nine-game unbeaten streak. For the record, Frei says Torres, a mainstay center back in front of him the previous two MLS Cup finals runs, has been “the exact opposite’’ of a malcontent. Sidelined by leg ailments early, then having sprained his ankle playing for Panama at the World Cup, Torres is healthy again. But he’s been supplanted from the starting lineup by the stellar performance of veteran Chad Marshall and solid work by first-year Korean import Kim Kee-hee. Torres has just two minutes of playing time the past two matches and went unused last weekend against the Los Angeles Galaxy. And he’s hardly the only one bumped by fresh blood. Bruin played the final 28 minutes of the L.A. game, sat out the previous match and logged just 80 minutes total the past five games since the arrival of Peruvian designated player Raul Ruidiaz. Rodriguez missed three games with a hamstring injury and has played just 43 minutes total in two games while healthy again, due largely to the continued resurgence of fill-in Harry Shipp. First-year Norwegian arrival Eikrem was waived a month ago when it was clear he was too far down the depth chart to see serious playing time. Dempsey officially is dealing with a back issue but unofficially nobody can say whether he’ll play again and who he’d bump aside to do that. These aren’t rookies being sidelined, as typically happens when a season’s stretch run kicks in. Dempsey is earning a DP level total compensation of $1.65 million this year, while Rodriguez, Torres and the departed Eikrem were given targeted allocation money (TAM) contracts for $1.08 million, $645,000 and $546,000, respectively. Bruin was the team’s second-leading scorer with 11 regular season goals last year — one behind the 12 by Dempsey — and is tied for the lead with six this season. Even left back Nouhou, a rising star at age 20, could struggle to see action now that Brad Smith has arrived on loan from the English Premier League. Schmetzer and general manager Garth Lagerwey have long dreamed of this type of depth. With the summer additions of Ruidiaz and Smith, they now have a surplus at every position except goalkeeper and right back that would start for most teams. The Sounders want Rodriguez on the field more but are reluctant to mess with how things have gone with Shipp on left wing. Likewise, they’d like to bump Smith up to left wing at times so Nouhou can start at left back if he plays strong like last weekend. But there’s already a left side logjam among midfielders. Cristian Roldan was pushed up to right wing, namely because Gustav Svensson has locked down the defensive midfield while Osvaldo Alonso has also once again looked strong there when managed correctly. But using Roldan there leaves one less option for breaking Rodriguez back into the starting lineup. Some of this will fix itself next month when the Sounders play three matches in eight days against Vancouver, Philadelphia and the Galaxy, necessitating squad rotation. Plus, there are three games in 11 days against Orlando City, Houston and San Jose to end the season. Not to mention the inevitable injuries between now and the increasingly likely playoffs for this team. In other words, what’s now a lineup-juggling headache could prove key to a third consecutive MLS Cup run.